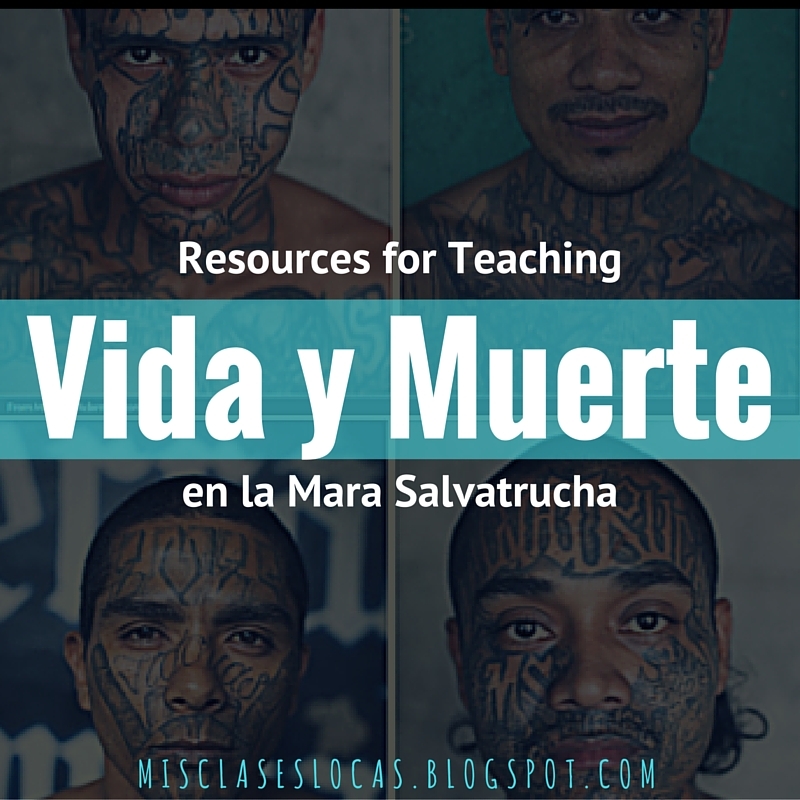 I am really excited to use Vida y muerte en la Mara Salvatrucha from TPRS Publishing this fall in Spanish IV. It is how I will start with when I return from maternity leave in November. I gave out an end of year survey with possible novel options for Spanish IV and this novel was the clear winner. I purchased a set of novels and the Teacher's Guide using our curriculum budget, but they will not be ordered until the new fiscal year in July (which is the end of week!). Of course that did not stop me from already searching to see how other teachers have used the novel and what kinds of supplemental activities they have come up with. Just like I already posted for Fiesta Fatal, I have already started planing with my large slide show for the unit. As I find resources, I add them to the slide show, so once I get to the chapter, I do not forget them. Once I have the teachers guide, I will add discussion questions and many other cultural expansions. Like many have shared, I think I am going to start the unit by watching the movie Voces Inocentes using the guide from Kristy Placido & some activities from Kara Jacobs. This should provide a better visual and background knowledge before beginning the novel. We already watched Which Way Home last year as a part of our immigration unit, and I plan to reference it as well. 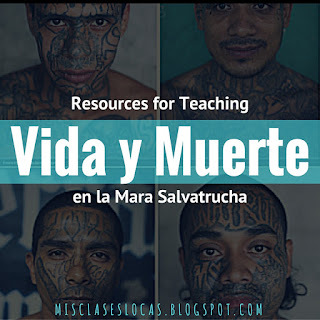 Then we may do some stations using the articles above, song resources, Fotos de MS13 & barrio 18 infografia to continue exploration of El Salvador, the Civil War and gangs. If life is not too crazy once I return from maternity leave with 2 little ones, hopefully I will be able to share my actual plans. Here is a post with my chapter by chapter resources for teaching this novel. Do you plan to do the stations before your read the novel? How do you see this working? I am interested in doing this! Haha I obviously have not looked at this lately because I forgot about the station idea I had. I have not put anything together yet. Do you want to colaborte on something? do you think that Spanish III could do this book at the end of the year? If your class has read a novel before, I think that Spanish 3 could read it! How did this unit go for your classes? I am looking to start a unit with this book in the new couple weeks. I'd love any helpful ideas!